A spring survey of breeding ducks in North Dakota showed numbers still remain in the top 20 of all time despite being down 5 percent from last year. BISMARCK, N.D. (AP) — The number of breeding ducks in North Dakota this year is in the top 20 all time. 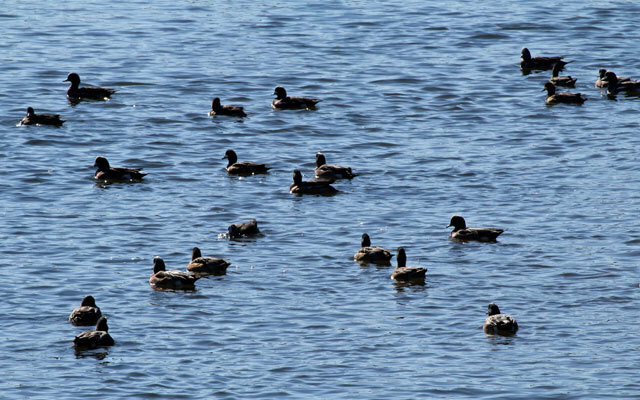 The annual spring breeding duck survey conducted by the state Game and Fish Department shows about 3.4 million birds. That's down 5 percent from a year ago, but well above the all-time low of 590,000 birds in 1959. That means another good fall for duck hunting is likely in store. A July brood survey by Game and Fish will estimate duck production and provide an even better idea of what hunters can expect. Data from the state Tourism Division indicates resident duck hunters spend about $20 million annually in North Dakota.